Weekly Photo Challenge: Windows – Happily After Retirement! 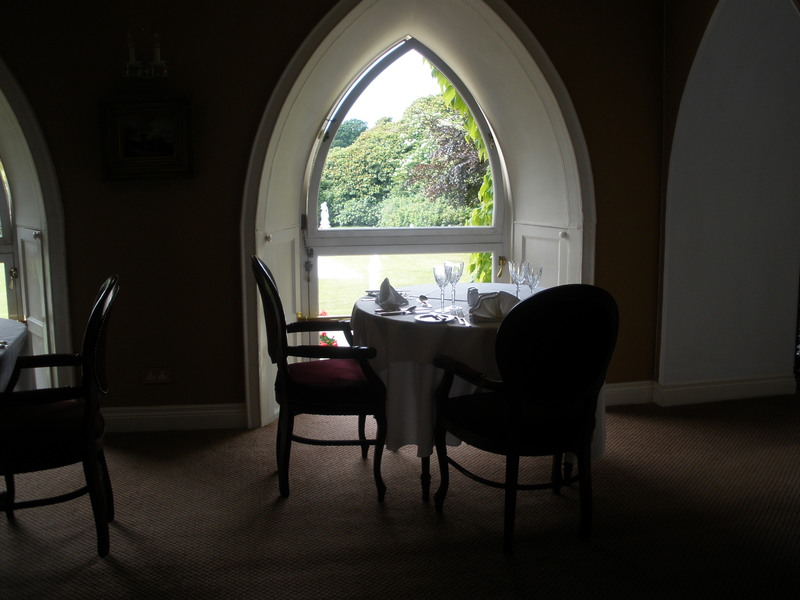 A menu and a view in Ireland! Thank you for linking my photo! I enjoy searching for photos for the weekly challenge. I love checking out the weekly photos as well! Some are so creative! oh what a beautiful window. Imagine having tea right there. anyone else see an owl in the grey matter outside? And what an amazing view. To dine a delicious view overlooking a beautiful landscape is a priceless moment! Thanks — it was a lovely visit in Ireland and finding this darling room made it even better! You know, I can make out an owl in the gray matter! Perhaps he was waiting for an invite? yep, or maybe was bringing a message to the photographer! I’d love to be eating there! Yes, Ireland was full of wonderful surprises. The colors, smells, landscapes, hedges, and roads were abundant. The people were wonderful and the experience was delightful!